If you get cheesed off at the idea of battling the crowds to do your Christmas shopping, why not head for the High Weald Dairy Mini Christmas Cheese Fest this year to pick up gifts for friends and family? Our special Christmas event takes place from 10am until 2pm on Saturday 16th December and Sunday 17th December and aims to provide a more relaxing Christmas shopping experience than a dash around the high street. 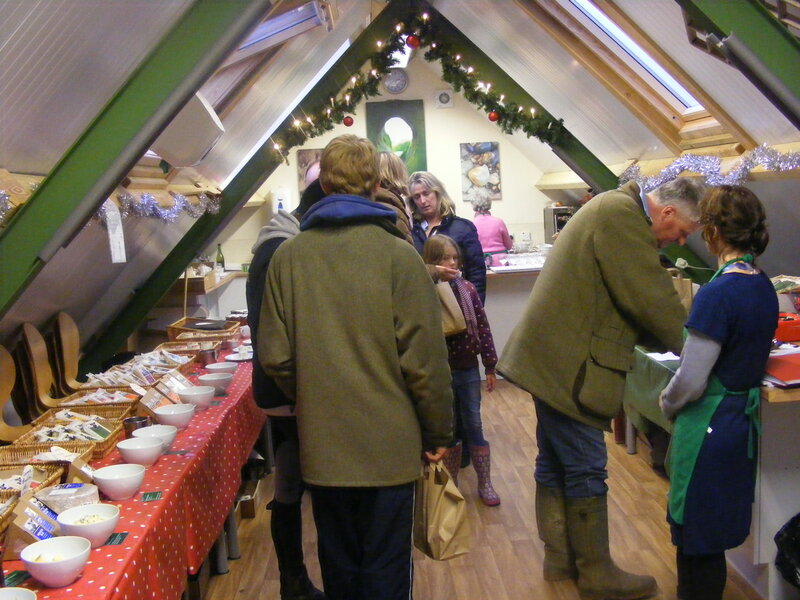 You’ll be able to enjoy a taste of our cheeses and a glass of mulled cider or apple juice in our festively-decorated Cheese Barn at Tremains Farm in Horsted Keynes, while you browse the goods on offer. And we’ll even give you a sneak peek behind the scenes of our working dairy with a look at the cheese maturing room. 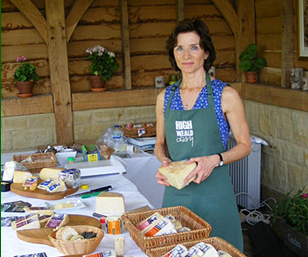 You can pick up cheeses for your own Christmas cheese board and can make up hampers as gifts for friends and family with High Weald Dairy cheeses and other locally-produced goods including Black Pig Orchard ciders and juices, Ouse Valley chutneys and cheese biscuits from Horsham Gingerbread. Hampers can be made up and taken away on the day or, for even less stress, let us deliver them by courier to friends and family further afield. We’ll also be selling vouchers for our popular one-day cheese-making course – the perfect gift experience for food and cheese lovers. If you can’t make it to the High Weald Dairy Mini Christmas Cheese Fest this year, you can also buy High Weald Dairy Christmas cheese selections and/or vouchers for delivery online.